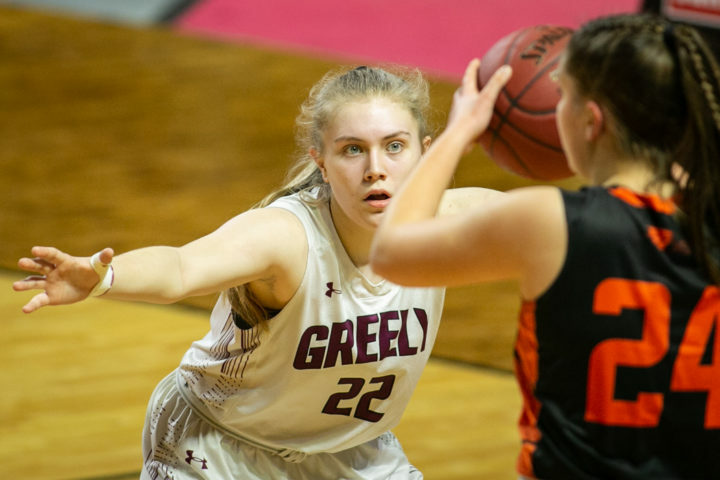 The top-seeded Greely girls got out to a hot start in the Class B South title game and never looked back, cruising past No. 2 Brunswick 54-33 at the Cross Insurance Arena in Portland on Saturday night. 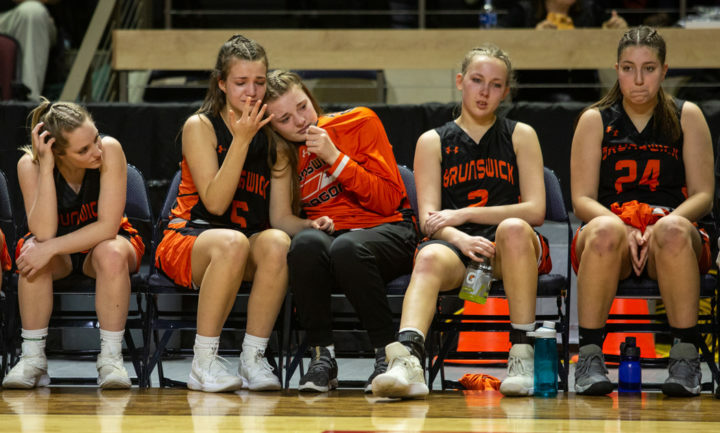 It was the third time the defending state champion Rangers and the Brunswick Dragons have faced each other in the B South finals, with Brunswick walking away with the win in 2017 before Greely took control for the next two years. 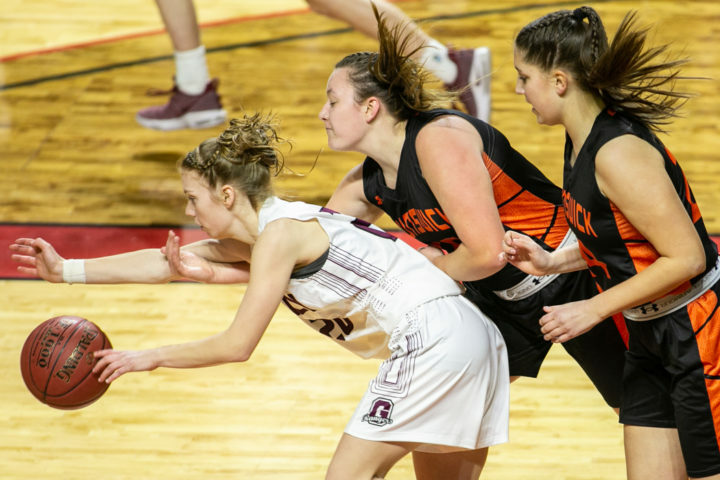 Greely High School's Katie Fitzpatrick guards Brunswick High School's Alexis Guptil in the girls' Class A South regional championship basketball game at the Cross Insurance Arena in Portland on Saturday. Greely took a quick 7-0 lead within the first 2 minutes of the game, before ending the first quarter with a score of 15-1. By the end of the half they had expanded their lead to 30-12. The undefeated Rangers (21-0) will now advance to the Class B championship game, where they will face Hampden Academy on Friday, March 1 at 6:05 p.m. at the Cross Insurance Arena in Portland. No. 2 Hampden outlasted No. 1 Skowhegan 32-28 for the A North title Friday evening. It’s the second such matchup in as many years. 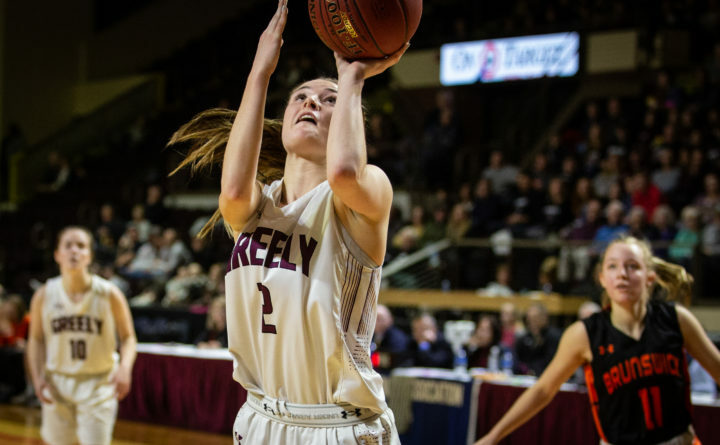 Greely took home the Class B gold ball last year, defeating Hampden 53-58. Greely defeated No. 8 Fryeburg Academy 66-28 in the quarterfinals, before edging out No. 4 Kennebunk 67-52 in the semifinals. Brunswick’s season ends with a 19-2 record. The Dragons beat out No. 7 Mt. Ararat 56-30 in the quarterfinals and No. 3 Marshwood 51-46 in the semifinals. 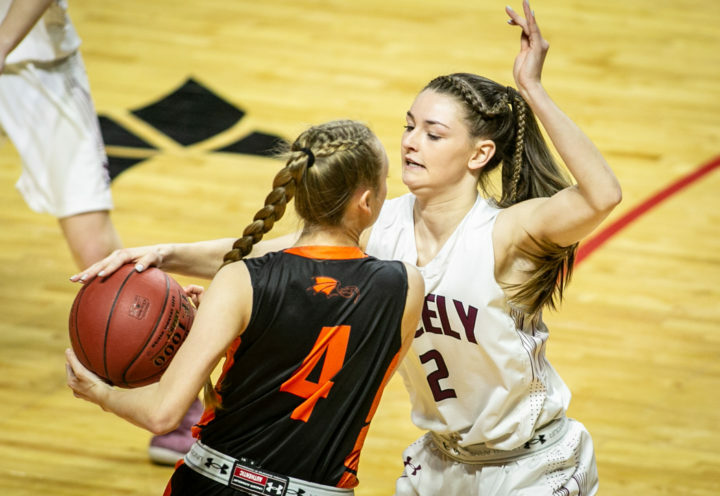 Greely High School's Camille Clement guards Brunswick High School's Emily Larochelle in the girls' Class A South regional championship basketball game at the Cross Insurance Arena in Portland on Saturday.